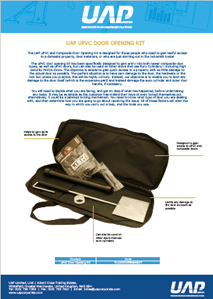 The UAP uPVC and Composite Door Opening Kit is designed for those people who need to gain lawful access to a domestic property, door installers, or who are just starting out in the locksmith trade! The uPVC door opening kit has been specifically designed to gain entry into both newer composite door types, as well as uPVC doors, but can also be used on other doors that use Euro Cylinders – including high security PAS24 doors. 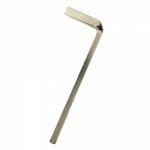 The objective is simple-to gain quick access to a property with as little damage to the actual door as possible. The perfect situation is to have zero damage to the door, the hardware or the lock but unless you practice, this will be highly unlikely. Instead, our objective is to enable you to limit any damage to the door itself (which is the expensive part) and instead damage the euro cylinder and outer door handle, if necessary. You will need to decide what you are facing, and get an idea of what has happened, before undertaking any tasks. It may be as simple as the customer has mislaid their keys or even locked themselves out. alternatively, it could be a jammed locking mechanism. You need to know what type of door you are dealing with, and then determine how you are going to go about resolving the issue. All of these factors will alter the way in which you carry out a task, and the tools you use. 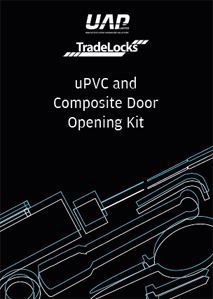 A full list of all the tools contained in the UAP uPVC door opening kit can be found in the ‘Technical Information’ section. 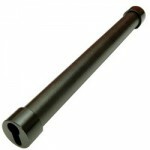 This is a high-quality cylinder snapper bar, which has been designed for oval profile and euro profile cylinders. This particular cylinder snapper bar is effective on any type of euro cylinder which protrudes more than 6mm from the door handle. Nowadays, most euro cylinders do not overhang the handle by more than 3mm, which means that we limit the usage of the cylinder snapper bar to snapping euro cylinders once the door handles are removed. Click Here for more information. 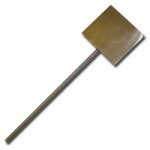 The uPVC door spreader looks very much like a spade, but has been designed instead to move the uPVC profile enough in a vertical or horizontal direction in order to bypass the locking system on uPVC style doors. 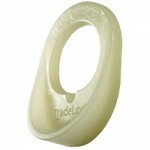 The chamfered edge of the tool means that you can lever back door seals without causing any damage. Click Here for more information. 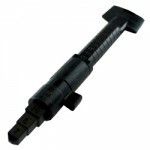 This spindle handle is inserted into the spindle slot so that it acts as a replacement for the removed door handle. This will allow the spindle to be elevated up, enabling the door bolt to be turned with ease using the Cam Turner. Click Here for more information. The cylinder cam turner is a black plastic gadget can be inserted straight into the lock once you have snapped the euro cylinder to turn the door bolt. Click Here for more information. 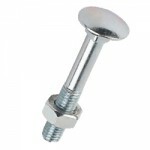 Coach bolts are used to tightly secure the property if you have damaged and then removed the original outer door handle. The coach bolts give up to permanent security to the door handle and also provide ample time to get a new door handle ordered if you do not have one immediately to hand. Click Here for more information. The air wedge is designed to work in conjunction with the door spreader to successfully open uPVC doors and windows and safely prevent the door from springing back. 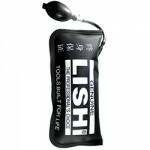 It comes complete with a handy, easy-to-operate air pump. Click Here for more information. This clever Patent Pending door handle drill template has been manufactured to identify the fixing points on both short and long back plate style door handles. It has also been designed to offer some glow in dark lighting, which will enable you to locate the door handle drill point in total darkness. The handle drill point template also removes the requirement to balance a torch under your chin, so you have total freedom of movement. Click Here for more information.